Make your secured payment today! To make a payment to Gerard, start by clicking our 'Pay Now' button below. This will redirect you to the secure Paypal payment page where you can enter in the amount. 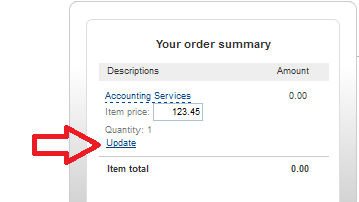 Submit the total amount to be paid in the 'Item Price' textbox and click update, continue with Paypal checkout! Click 'Pay Now' to start your secured payment! Thank you for choosing to use our online payment service.